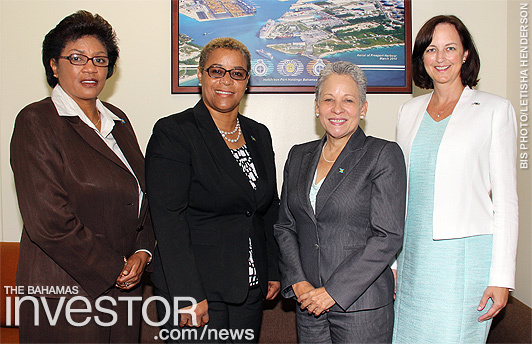 Minister of Transport and Aviation Glenys Hanna-Martin received a courtesy call from US Embassy Charge d’ Affaires Lisa Johnson at the Ministry of Transport and Aviation, July 17, 2014. Minister of Housing and the Environment Kenred Dorsett says that his ministry is putting together draft legislation regarding oil exploration in The Bahamas. Watch an ZNS Network news report here. Sheldon Good & Company Luxury Real Estate, a New York-based luxury real estate auction firm, is offering a luxury beachfront property on Long Island in The Bahamas at auction August 27.